In the world of abracadabra, man lives in the fantasy of magical wand. It is moved by spoken words that produce unusual objects from an unrelated object. They are carried away by the emergence of an odd matter from an even object. The covetous of gain of man by nature makes him participate in the game of chance in magical competitions. Man is indeed perturbed by the outcome of magical exploits with the production of edibles from unrelated family objects. And of course, man is moved into believing the sophist magical power of magicians, and, in fact, regard them as tin gods, agents of God, or god themselves. Whereas magic is a ceremonial nonsense without meaning. It is meant to excite man through falsehood. It is borne out of human passion to fool one another for financial gains. It is being carried out to play on human intelligence for self-aggrandisement. But magic differs from miracle. The black magic is surely full of intrigues, tricks, evil, and, in fact, typifies illusion. It is worldly power that is part of African religious as found in the old Egypt and, of course, Nigeria. Though miracles are unusual happenings like magic, they are methods by which the true power of God is shown to the disbelievers. The true believer does not need any sign from God to believe in Him. It is a wicked generation that asks for sign and miracles. Usually, they are not vouchsafed. But where they are, the responsibility of those who ask for them is increased. If, after that they reject faith, invent lies and go after false gods or false ideals, their penalty is worse than that of other people. At least, there are enough miracles around us like the sun, the moon, the stars, the day, the night, the living, the dead, the wet season, the dry season, the harmattan, the spring, the winter. (Q. 36:33–50). What of the creation of living and non-living things in pairs; the artistry nature of the heavens and the earth, the giving of life to the death earth through the rains, the production of grains, fruits and vines from a single grain. The mysteries of life are also reflected in the ships and the modes of transportation through road, rail and air by which man conquers the forces around him with God-given gifts. They all operate in their orbits by law and in harmony. They all bear witness to the existence of God as the Creator and Controller of heavens and the earth. In fact, the latent faculties of eye, ear, nose, hands, legs, mouth, brain, and others in man are enough to teach us the distinction between good and evil, to warn us of the dangers that beset our lives, and to believe in Allah (SWT) (Q. 7:174). However, the prophets of God who came to warn us, serve as guidance, and rehearse the signs of God to us came with miracles that were happenings with good results, which cannot be explained by the law of nature. All the 124,000 prophets sent at different times by Allah since the creation of the world came with clear signs of Allah. All the 25 prophets whose history is related in the last scripture, the Holy Qur’an, (Q. 2:106) came with miracles. They all preached the Oneness of Allah to their respective nations (Q. 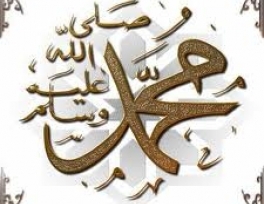 16:36) expect Prophet Muhammed (SAW) who was sent to mankind as the last messenger (Q. 7:158), to redeem us from the darkness of polytheism into the light of monotheism. They warned people against the worship of God’s creation but to worship the Creator Himself. That makes the prophets of God the true men with true miracles. Though there are men, of talents and position, to whom great opportunities of spiritual insight come, they perversely pass them by as human mortals. Satan seizes this opportunity and catches them up. Instead of rising higher in the spiritual world, their selfish and worldly desires and ambitions, pull them down, and they are lost. Hence, only prophets came truly with miracles to convince people about the existence of God, as the only deity worthy of worship. Men of God or preachers can easily digress as ordinary human beings (Q. 7:175-177) to satisfy themselves. 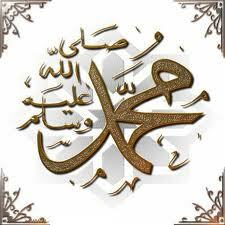 However, the greatest miracles for all ages were those performed by the Holy Prophet Muhammed (SAW). If a doctor heals the sick through medical exploits, it cannot be said to be a miracle but normal law of nature. If a teacher liberates an illiterate to become lettered, it is in conformity will the rule of education. If a lawyer wins a civil case against an incumbent government, it is in line with the rule of law. But where it happened for Prophet Musa (AS) to change his rod into a serpent and hand becoming white as snow (Q.7:106-108), it became a miracles from God to convince the Egyptians about the message of God. Afterall, their gods and goddesses took the forms of snakes to impress their foes with terror, while the whitish hand was to counter any suggestions of evil. Also where it happens for Prophet ‘Isa (AS) to produce bird from the clay, heal the blind and leper; quicken the dead; reveal what people eat and store in their houses; speaks from the cradle; known the Holy Book and have wisdom by the power of God; and the bringing down of a table set of food from God as requested by Israelites - (Q. 5:113-118) - they are miracles as signs from God for the people to believe. But the living miracles of all times and ages is the Holy Qur’an bestowed by Allah upon the Holy Prophet Muhammed (SAW). It was revealed to him by Allah through Angel Jubril. And today, 1,432 years have passed and nobody has been able to change a single letter or produce the imitation from the 114 chapters and 6,666 verses. Though the whole world mocked it and was bent on destroying it, all corruptions, inventions, pass away, God’s Truth is guarded through all ages. (Q.15:9). In fact, Allah (SWT) has challenged men and the jinns to produce the likes of the words of the honoured, preserved, and well guarded Qur’an. (Q.56:77-81). He stresses with the command of finality that they shall never be able to produce the likes of verses of the Qur’an. As revealed in the authentic hadith of Prophet Muhammed (SAW), the Holy Qur’an happens to be the greatest miracle. We, therefore, at this juncture, invite you to have a peep into the Holy Qur’an, read it, and savour the blessings of God. May Allah grant us the will, the zeal, and the fortitude to accept the Qur’an as the greatest miracle for all ages. (Amen). Just as previous prophets were asked to perform miracles as signs from God, before believing in their mission, the last of the messenger, Holy Prophet Muhammed (SAW), was requested to provide signs. (Q. 2:118; 6:37; 7:203). Though the Messenger of God is enough as sign for man to believe. Though the physical being of man is enough as a sign from God. Though there are signs of plants and animal kingdom as well as the living natures of heavens and the earth. Though previous sceptic nations had perished for insisting on materialistic imagination of miracles from God’s Messengers, like the ‘Ad, the Hud, the Thamud, the Sodom and Gomarrah, and of course the Jews. (Q.11:50, 61, 77-80; 17:104) Though the Jews refused to believe when Prophet Musa caused 12 springs to gush forth from the rock with his staff. (Q.2:60). Though the well of Zamzam besides the Ka’bah in central Mecca, which gushes endlessly since the time of Prophet Ibrahim from the desert as form of comfort for Isma’il, his mother Hajar, and dwellers and visitors to the rocky city. (Q. 14:37). Yet, the people insisted that Prophet Muhammed (SAW) should perform a miracle by causing a spring to gush forth from the desert earth. (Q.17:90-93). Yet, they insisted that the Prophet should create a beautiful garden of date tree and vines surrounded by springs. Yet, they dared that Allah’s Apostle make the heavens fall on them for refusing the words of God. Yet, they asked him to bring God and His Angels before them face to face. (Q. 2:55;4:153;6:8-9). Yet, they asked him to form a house from the blues adorned with gold. And yet, they asked the Prophet to mount a ladder right into the sky physically if truly he was a messenger of God; and to bring down a book in that order: (Q.6:35,7). But despite the fact that these requests were symbols of materialistic tendencies of man. Despite the fact that Allah’s miracles are not for faithless crowds to gape at. Despite the fact that the requests by the unbelievers were irrelevant suggestions that make no distinction between spiritual and material things. Despite the fact that an Apostle of God is a man at the command of God, and not to satisfy the disingenuous whims and fancies of unbelievers. Despite the fact that miracles, greater than any that the foolish fancies of man could devise are before them. Despite the fact that the Holy Qur’an is such a miracle, and a standing miracle that lasts through all the age, the Holy Prophet Muhammed (SAW) performed numerous miracles to prove sceptics wrong, and to serve as signs of conviction for the faithful. As narrated by Anas in an authentic hadith in Sahih Bukhari, the Holy Prophet Muhammed (SAW) showed the people of Mecca the miracle of the splitting of the moon, when they requested for it. Another companion of the Prophet, Ibn ‘Abbas narrated this hadith of the splitting of the moon into two parts. Another hadith related by Anas says of another miracle by the Prophet that two of his companions who left his house on a very night had two things that resemble two lamps providing light in front of them. And when they parted, each of them was accompanied by one of these two things (lamps) till they reached their homes. (Vol.4, Al-Bukhari). Also is the miracle about the crying of the stem of the date palm tree in the Prophet’s mosque in Medina. As narrated by Ibn Umar in Al-Bukhari that the Prophet (SAW) used to deliver his Khutba (sermon) while learning against a trunk of a date palm tree. But when a pulpit was built and used in its stead, the trunk started crying and the Prophet went to it, rubbing his hand over it (to stop it from crying). Though miracles are a form of warning to the people and signs of reflection on God’s existence, Prophet Muhammed’s miracles were signs of Allah’s blessings and necessity. As narrated by Abdullahi, this was demonstrated when the Prophet and his companions ran out of water during a journey. He made water to flow among his fingers until enough water was fetched for the comfort of everybody on the trip. In fact, the meals of Prophet Muhammed were heard by the companions glorifying Allah when they were being eaten by him. A related hadith was one narrated by Anas bin Malik where the Prophet provided water from among his fingers at a town called Az-Zawra for about 300 worshippers to perform ablution. Water was provided in the same manner to about 1,400 people on the day of Hudaibiya Treaty. As narrated by Al-Bara, the water level of a dried well was made to increase by the Prophet after pouring a little water from his mouth into it. What of the stones that used to greet Prophet Muhammed (SAW) whenever he passed by through the pathways of Mecca? Besides, there is a miracle on the throwing out of the dead body of an infidel by the earth for deriding Islam and the Holy Prophet Muhammed (SAW). He had embraced Islam and was among the writers of the revelation for the Prophet. But he reverted claiming that “Muhammed knows nothing but what I have written for him.” Then Allah caused him to die and the people buried him but in the morning they found that the earth had thrown out his body. His body was left to rot away on the surface of the soil after the third burial and rejection by the earth, as they later believed that the Prophet Muhammed (SAW) or his companions could not have been responsible for this. What of the unsolicited miraculous shades always provided by trees whenever the Prophet answer the call of nature. We also recall another miracle narrated by Jabir bin Abdullahi that the Prophet increased the yield of dates in his garden as he sat and went round the heart of dates and invoked Allah for His blessings. It allowed Jabir to pay the debts left by his deceased father and even left as much as had been paid. Lastly, among the numerous miracles of Prophet Muhammed (SAW) was his ascension to heaven usually dated as the 27th night of the scared month of Rajah in the year before Hijrah. (Q.17:1, 60; 53:7-18; 3:54; 2:72). As narrated by Anas bin Malik, the Prophet related how Angel Jubril took him on a night journey to Aqsa Mosque in Jerusalem and then to the seven heavens where he met Prophets Adam; Yahya; ‘Isa; Yusuf; Idris; Haroun, Musa and Ibrahim-and then saw Allah where 50 daily prayers were given for the Muslim faithful which were later reduced to five as we observe today. May Allah grant us true understanding of His existence in obedience to His dictates. (Amen).